Officials with the Catholic Church are warning about a new phishing scam targeting Alberta parishioners. Fraudsters posing as priests or bishops have been emailing parishioners and church staffers across Canada trying to fraudulently collect free electronic gift cards pre-loaded with cash. According to a public advisory posted to the Edmonton Archdiocese website, parishioners in Catholic churches and institutions have been targeted for weeks. "Typically, a false email from a priest, church official or supervisor is sent asking for electronic gift cards to be sent to another address, so that they may be given to someone in need or used for a fundraising event," according to the advisory titled "That's not your priest asking for gift cards!" The scam has been previously reported by several dioceses, and there are numerous reports of parishioners who have lost money, including in the archdioceses of Calgary and of Edmonton. "We heard about a couple of people in one of the parishes that have succumbed to this scam," said Lorraine Turchansky, chief communications officer for the Archdiocese of Edmonton. "They lost, between them, $800. "Both of these people thought it was the priest asking, so they thought, 'Why not help out?' "
Turchansky first heard about the scam earlier this month, from a staff member at Newman Theological College in Edmonton. The employee had received an email purportedly from her boss, asking that she donate gift cards to the needy. The woman almost sent the gift cards but caught on to the scam just in time, said Turchansky. "She almost did it and then she called her boss and asked, 'Is this for real?' " Turchansky said in an interview Tuesday with CBC Radio's Edmonton AM. The woman's real boss had no idea what she was talking about, Turchansky said. The fraudsters are using disguised emails to make their messages seem more legitimate. "It suggests that you buy these iTunes cards and then email them the numbers on them so they can cash them out electronically," Turchansky said. "If you get it from someone that you would normally trust that may be your boss or supervisor or something like that, you wouldn't normally have any reason to suspect them." 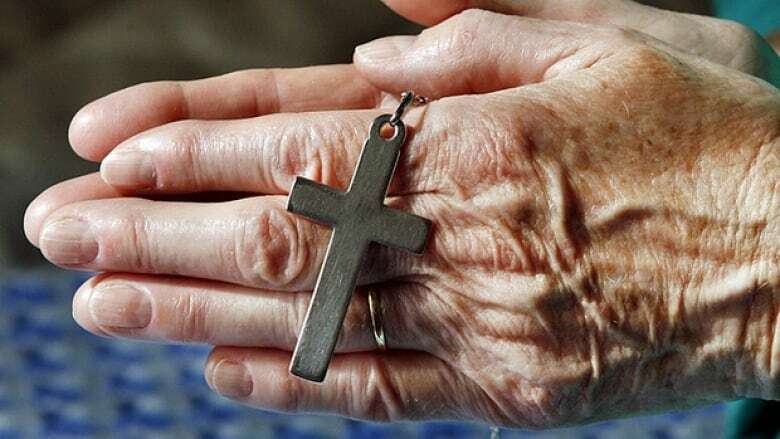 Nadia Hinds, director of communications for Roman Catholic Archdiocese of Calgary, said the scam first surfaced in southern Alberta at the All Saints Roman Catholic Parish in Lethbridge. Several parishioners were targeted with emails supposedly sent by their priest. At least one member of the congregation fell victim to the scam, Hinds said. The staff at the Catholic Pastoral Centre in Calgary were also targeted with a fraudulent email claiming to be from their bishop. "What's really alarming about them and really unusual is that they seem to be coming from people we trust, like your boss," Hinds said. People who have been targeted and purchased the cards should try to cancel them as soon as possible and report the theft to police, Turchansky said. "It's really unfortunate, because it's an abuse of trust, it's a betrayal," Turchansky said. "It's all those awful things, and good people are being preyed upon."